Pigeons fly over the Peace Memorial Park in Hiroshima, Japan, on Aug. 6, 2018. 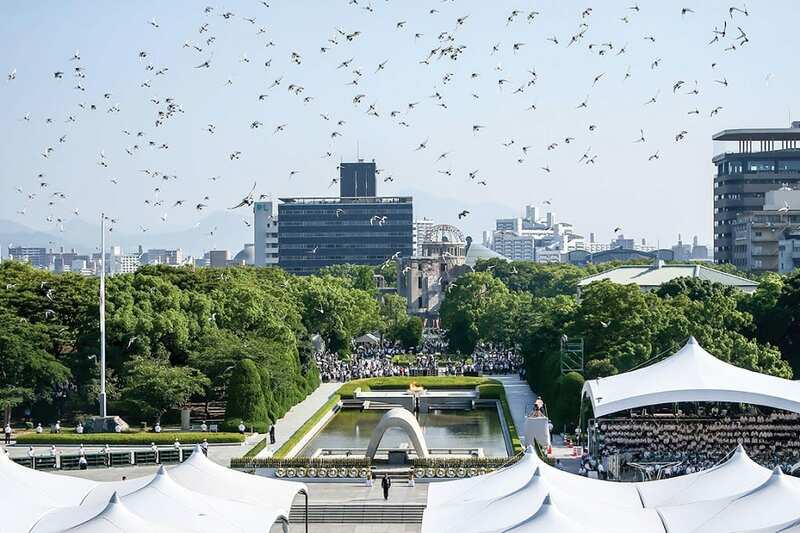 Japan on Monday marked the 73rd anniversary of the atomic bombing of Hiroshima. The Church calls for Hiroshima’s decisive prophetic commitment to social justice. It expresses a deep desire for forgiveness and reconciliation; for a new civilization of love found in Nagasaki. The bomb dropped on the latter exploded on the city’s Catholic district, Urakami, killing tens of thousands. Tokyo (AsiaNews) – Fr. Ignacio Martinez Baez, a Guadalupe missionary, heads the Social Affairs Department of the Catholic Bishops’ Conference of Japan. This year he took part in the commemoration pilgrimage of the atomic bombings from Hiroshima to Nagasaki. The “small peace pilgrimage” between the two cities gave him an opportunity to remember the horror of nuclear weapons and pray for a “new civilization of love”. “Every year, [the] 6th and 9th [of] August are two special days to think about the deep meaning of peace in the world and the process needed to reach this precious gift that people commonly call peace,” he said. For Fr Martinez, it is urgent to remember the reality that became evident for the first time on those two days: today, with atomic weapons, man could “put an end to all life on the surface of the Earth”. On August 6th, many people from all over the world come to Hiroshima to experience “the spirit” and show their opposition to war and nuclear weapons, singing and shouting slogans. However, he noted that some “politicians use this Memorial Day for their own partisan purposes or to gain points for their own good”. The celebration Mass in Hiroshima was an occasion to pray for the victims of war all over the world, and for the difficulties now confronting mankind. 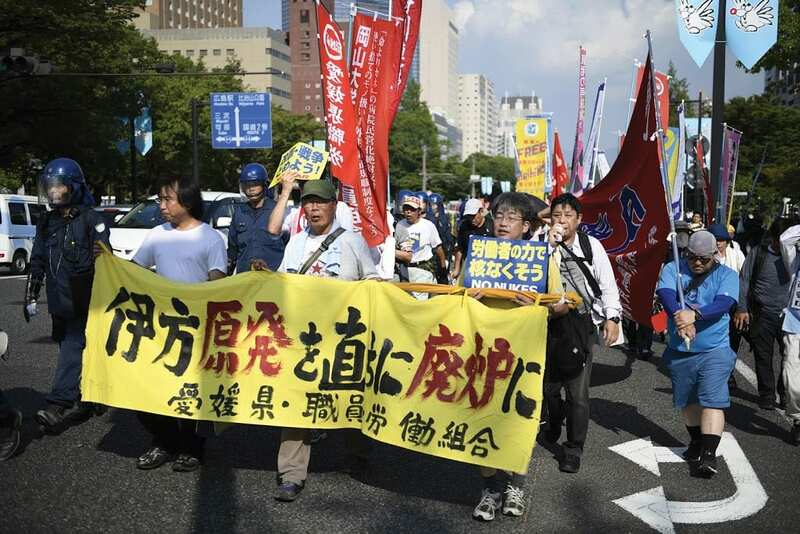 Anti-nuclear protesters march on the streets of Hiroshima during the 73rd Anniversary of Atomic Bomb. “The city of Nagasaki prepares a different ceremony every year. In a quiet atmosphere, I felt more silence, more reflection, and a very strong determination to build bridges of understanding and reconciliation among people. The Mass for peace and reconciliation was celebrated at the Urakami Cathedral in the evening of August 9th. After the ceremony, people prayerfully carried the statue of Mary of Urakami to the Peace Park.